All of those words are reasonable. I'm thinking about upgrading my older 128gb 4 yr old SSD with this 512gb HP NVMe for $80 but have no idea how it stacks up. Says that it has a 3,200 MBps / 1,800 MBps Read/write speed which is close to the EVO drive. Going to be making this my primary boot drive. edit: removed a grocer's apostrophe. Oops. Nothing else has changed if you've read this already. The HGST branding is still showing extremely high reliability ratings in Backblaze's testing. That's the direction I'd probably go for NAS drives. Performance doesn't matter much for those, because your bottleneck will be the network, not the drive. So you want it a NAS drive A) be quiet, B) not use much power, and C) be highly reliable. In the 2018 report, released a few weeks ago, HGST is still leading in terms of fewest failures. The big Seagate drives seem to be doing very well, though. They've seen a marked improvement in overall drive reliability for the last few years, as sizes have increased, which is a bit counter-intuitive. I can't help but wonder if this series of reports is related to that, someone finally holding their feet to the fire with a big enough sample set to be meaningful. Backblaze has a lot of Seagate drives, too, so if they say those models look good, you can be pretty sure it's not just a fluke. The HGST drives have been, and remain, extremely good, but they don't have as many of those in service, and that means there could be more variance in the real failure rate compared to what they observed. And the rates aren't enormously different anymore, quite unlike five years ago. edit to add: in the 12TB size, in other words, they have 1,278 HGST drives in service, with an average of about two months of service each. Out of those 1278 drives, they've lost one. A drive. For Seagate 12TBs, though, they have over thirty thousand drives, 31,146 to be exact. Their average service life is 261 days. Out of the 31K, they've lost 310. So, on paper, the Hitachis are looking to have about a third the failure rate, 0.51 percent per year versus 1.39. But they've only lost one. So is that sampling error? Just one more failure would have put the two within spitting distance, and one fewer failure would have made everyone else look like chumps. Yet, in looking back, HGST has consistently been quite reliable, and 1%/year is higher than I like, so that's still probably the way I'd go. That's right in line with their prior figures, and maybe Backblaze even got unlucky. I just bought a 500gb crucial ssd that upgraded from a few year old 128gb ssd drive. It was $62 dollars. It is just as fast if not faster than my old drive. I'm guessing you won't see any negative results to any increased sized newer drive. I just want to make sure that this isn't a SATA SSD and is actually PCIe. I'm seeing things labeled an SSD with the same form factor and I'm kinda confused. I'm looking for a W/R speed upgrade from what I have rather than more storage. Ah, I see that the input at the end is very different but they are both labeled M2. How the hell does that WD Drive interface with the computer at SATA and why is it labeled M2? Is this for laptops or something? My new motherboard has 2 M2 slots so I will be good with the HP. This is all very confusing for something that is supposed to be as simple as a hard drive. So I got my new monitor and plug in the display port cable no response. I try the other slots on the graphics card no response. I try the HDMI and it works fine. I am wondering if the cord that came with it is busted. On one hand I love PC gaming, on the other dumb stuff like this makes me glad I own consoles too. I consider it unlikely that all three of the Display ports on the card are not working and this would not be the first time a replacing a cord helped me. I just hope it is that simple. I've had not one but two bad Displayport cables. They seem to be finicky. Might be worth a shot before you start looking at things that are significantly more hassle or more money. Thanks for posting this. I have been wracking my brain over a strange BSOD / system freeze / audio hang. I did some research and it looks like it may be my stupid Displayport cable. I am going to try a different cable in the next few days to trouble shoot. M.2 is the physical slot that it fits in. It can be keyed in multiple ways depending on the type of connectivity the M.2 slot supports. They can be referred to as socket 2 (PCIe x 2), socket 3 (PCIe x 4), or something specifying the dimensions plus keying (such as 2242-BM which would be 22mm by 42mm and has the B and M notches in it). M.2 can interface with SATA, PCIe, or even other stuff like audio. NVMe is a tech which takes advantage of parallel PCIe lanes to boost bandwidth. It's more of a driver thing, and typically uses M.2 as its physical interface. M.2 is a slot not a communication standard. 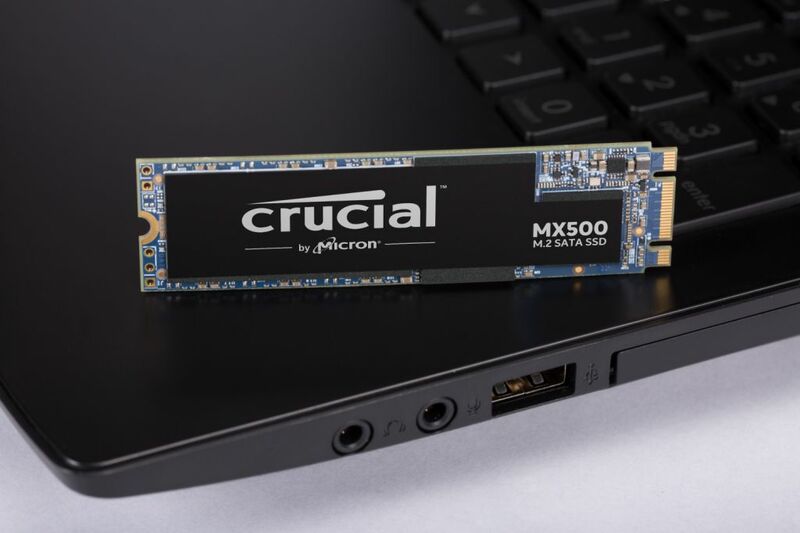 NVMe and SATA are communication standards that are most commonly used with M.2 slots. If a drive says it is NVMe that means it uses the super fast PCIe based communication standard, but they can still use slower NAND chips which is where you sometimes end up finding NVMe drives that barely beat SATA drives in performance. M.2 is the physical slot that it fits in. It can be keyed in multiple ways depending on the type of connectivity the M.2 slot supports. They can be referred to as socket 2 (PCIe x 2), socket 3 (PCIe x 4), or something specifying the dimensions plus keying (such as 2242-BM which would be 22mm by 42mm and have the B and M notches in it). Ok, I got it. It's a multifunctional PCIe slot. The HP NVMe SSD is PCIe 3.0 x4 which is why it gets the crazy W/R speeds of 3,200 MBps. I'll go ahead and grab it then since it seems the $80 price tag seems worth it. Yeah, I had a user with a monitor issue that was resolved by me replacing a Displayport cable with DVI. I have other users in the office with Displayport cable issues over the past month or two, as well. Some old PCMR advice on DisplayPort cables. In short: Quality matters with DisplayPort. Also don't buy long cables. Not sure if joking, but, like.... nah. Per Lou's Reddit link, this is still a good go-to for finding decent and certified DP cables. And while Monster *is* included, they're always WAY overpriced. I guess you're paying a lot extra for peace of mind...? I guess? Monster are obviously the best, the guys at Best Buy say so. And they have "Best" in their name, so of course they know what's best, they only hire smart guys there. Best Buy employees now push RocketFish cables, not Monster. I have a Monster brand HDMI cable that I bought along side my first HDTV just because I didn't want to wait on shipping to be able to hook my 360 up via HDMI. I was paying like $700 for the TV and they only had like three brands of HDMI cables and the Monster one was the only one that looked decent (the other two were line half the diameter of the Monster one, but also like half the cost). It has been a fine cable, I have no complaints. It has lasted almost 10 years and isn't currently being used, but I used it a few weeks ago when I took my Xbox to a friends house for an old school Halo LAN fest. Yeah the days of cables not mattering have sorta changed. Things like Amazon basic mini display to HDMI max our at 1080P. You have to make sure to get 4K rated cables. I recently got a LG 34” Ultrawide “5K” monitor for work and went through several display port cables to get one that actually displayed the 5K resolution properly on my Intel/AMD NUC. Cable bandwidth and port bandwidth now matters big time. Throw in confusion around USB-C and it’s hella terrible. My question is - am I losing significant speed by using a housing bay that connects my M.2 drive to a Sata port? Obviously I'll upgrade the motherboard before too long (it's about 5 years old now), but I'd really appreciate confirmation I'm not losing too much speed with this setup. No. The MX500 is a SATA device in the M.2 form factor. I'm starting to spec out an upgrade path for a Micro ITX work from home computer that might be doing some mid level gaming. Going to need CPU, Micro ITX board, and RAM. Is the AMD Ryzen 5 1600 @ $100 a good deal. Better alternatives? Microcenter is having a few deals this weekend so I might take a trip out there. Edit: I have a Coolermaster 130. PCpartpicker is telling me most upgrades are going to require a new case or liquid cooling because of height limitations. The 1600 is previous gen but still pretty decent. I think the 2600 is like 10% faster, but is around $150 so the 1600 for $100 is a better value. As Rykin pointed out, it's an SATA drive anyway. But even if you'd bought a PCIe/SATA3 hybrid drive, you wouldn't lose much real-life speed. A little, but it wouldn't be terribly noticeable most of the time. Most loading from drive is bottlenecked on CPU processing time (typically decompression into usable format), so a PCIe drive mostly just waits around for another request faster. To take advantage on a desktop, you'd probably have to be writing the code yourself. Build complete. Thanks for the help. That's pretty sweet. How's your control cluster set up? It's all mounted using 80/20 extruded aluminum. The keyboard is blocking the pedals. I will be upgrading from my workhorse 970 GTX to another not-bleeding edge, but can run-most-things-pretty gpu. I want to keep it under $450 if at all possible and will stay firmly in 1080p land for now. Recommendations? There’s a GTX 1080 in the trade thread for $375 + $25 for shipping. For less but still-sufficient horsepower, brand-new RX 580s with 8GB RAM seem to be hovering around $200-250 in lots of places.